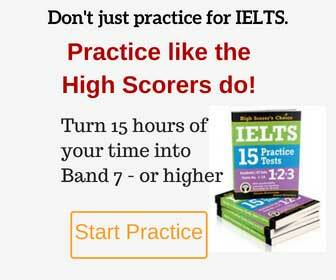 Let’s thanks S. from Australia for sharing his IELTS experience – S. just sat for a General Training exam. Nowadays transportation services are transferred from rail services to road services in the world To what extent do you agree with this and what is your opinion about your country in this situation. This is what our friend X from Europe shared with us about his General IELTS exam – thanks, X! “I didn’t have any luck this time because there was a problem during the exam so I am pretty disappointed. Some people couldn’t hear very well, that is because of bad audio setup. I requested to play the recording louder twice and didn’t bother much the second time. Further, wall clock couldn’t be seen by all the participants, especially those that sat behind like me, because it was on the teacher’s table and they said they couldn’t move it to another place, but in my previous exam they kept it in a good place in that same hall. I had a wrist watch, but that wall clock was very valuable to see the time easily for the time management. 3) A lot of tasks were short answers � no more than 3 words. 4) Task of matching headings to paragraphs. Write a letter to airport authority describing what happened in the airport and how it affected you. Should older people stay with their families or in nursing homes and alone on their final ages, what is your opinion.